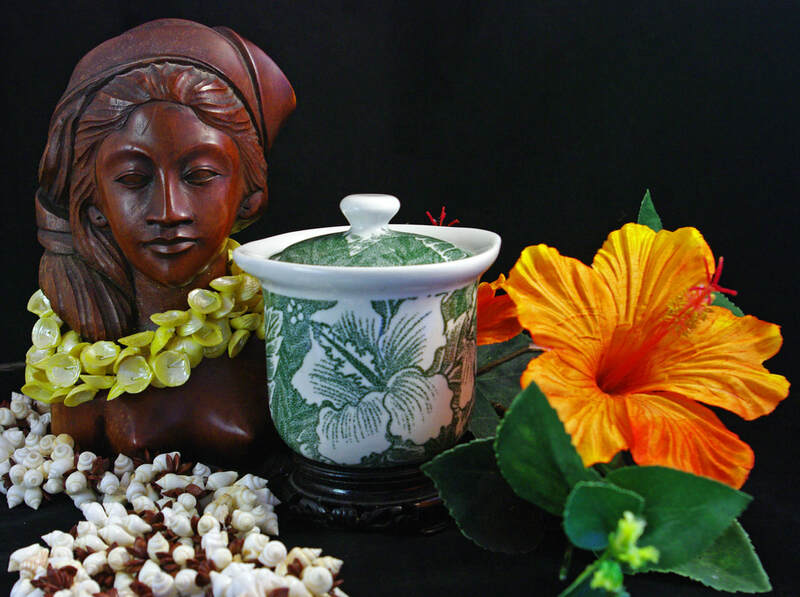 By the end of World War II, there was pent-up demand for dinnerware and overglaze hotelware. Growing nostalgia for the vanishing American Frontier led to the emergence of the Rural Revival decorative movement. 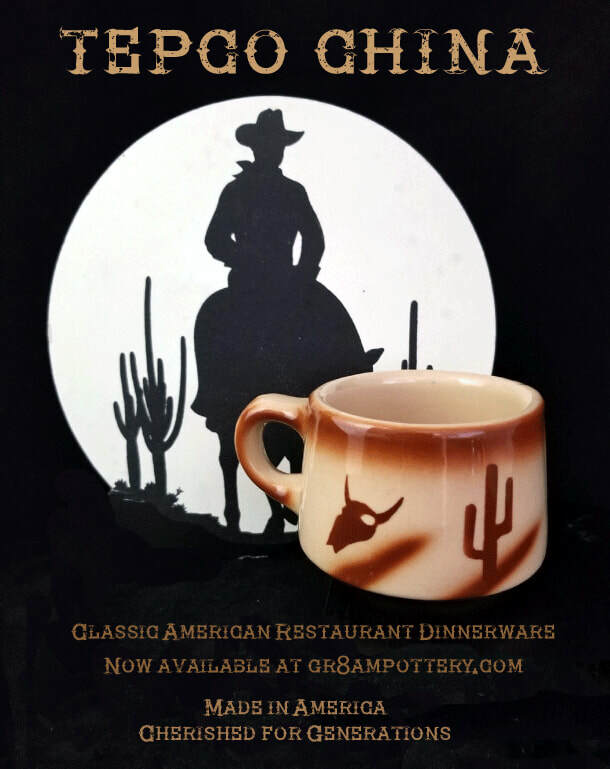 Mid Century dinnerware embraced this nostalgia for the Old West. 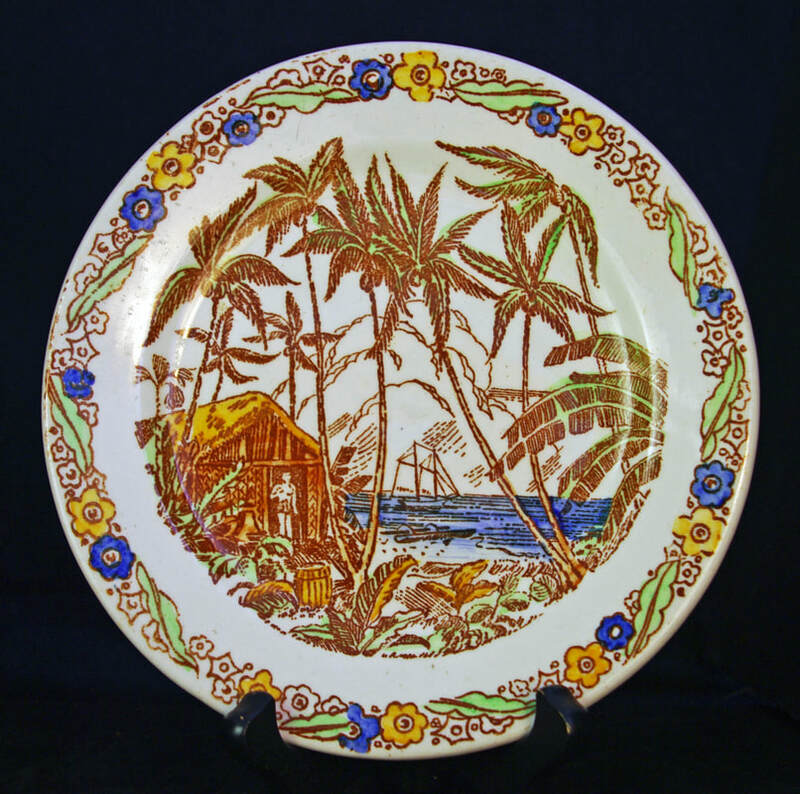 Wallace China Company of Los Angeles was commissioned to produce a line of durable barbecue wares with the "Westward Ho" line of dinnerware. 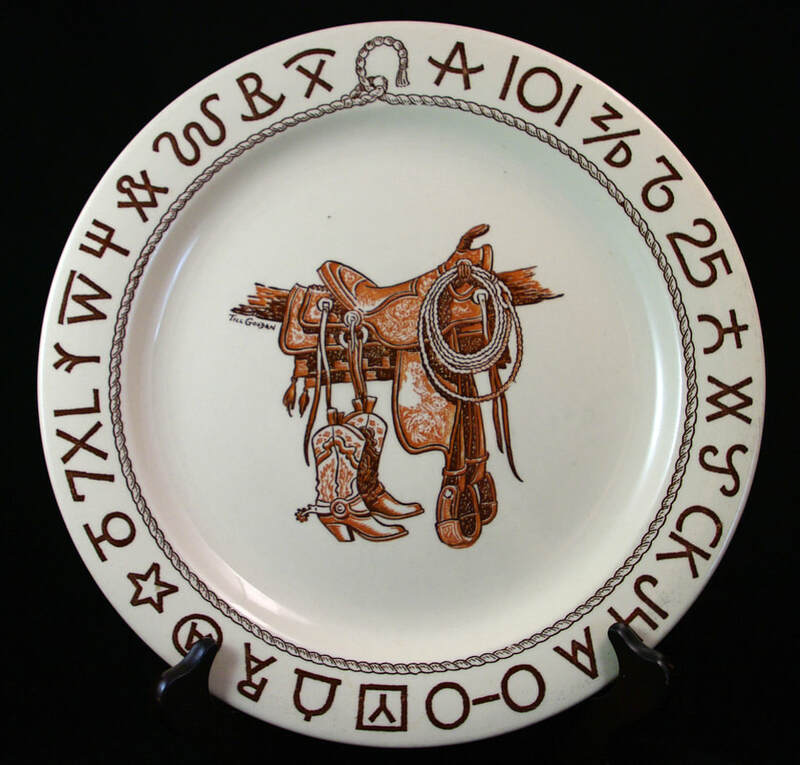 Till Goodan illustrated the popular "Boots & Saddle" dinnerware with iconic cowboy images & cattle brands; "Pioneer Trails" featured covered wagons & stage coaches; "Longhorn" displayed long-horned steer heads. ​One of the most popular of the old collectible patterns, now being reproduced under the "True West" name is a multicolored design called Rodeo. Original Rodeo was made by Wallace China for the M.C. Wentz Company of Pasadena, California. 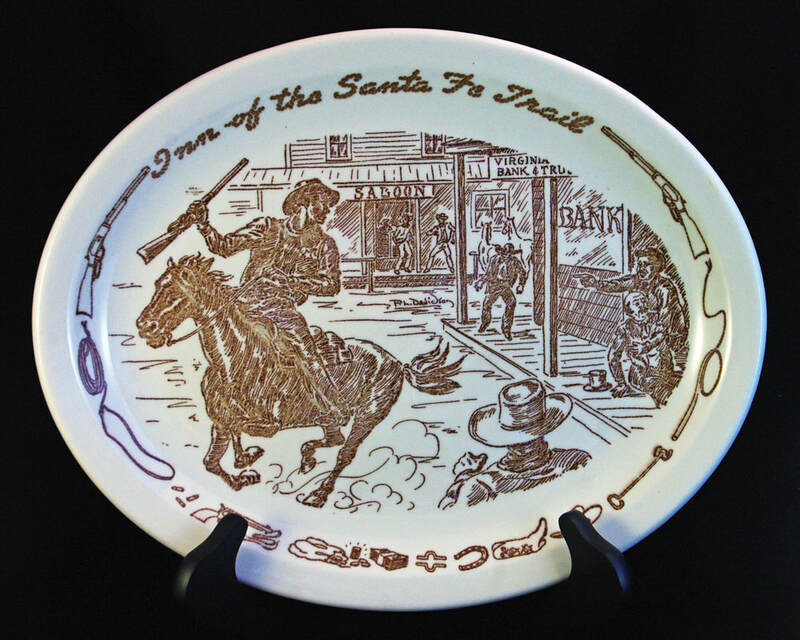 Wentz marketed the hand-tinted "Rodeo" pattern with action scenes of buckaroos & steer wrangling in their full line of western-theme housewares called "Westward Ho". In 1959 Shenango acquired Wallace China. By 1964 Wallace China was dissolved, and fours years later Shenango was sold to Interpace Corporation, who was manufacturing Franciscan China. ​Technical Porcelain and China Ware Company (Tepco) created heavy duty vitrified china for the restaurant and hospitality industries in El Cerrito, CA from 1930 to 1968. Tepco also had contracts with the US government to produce custom china for the Navy, Army & Veterans Administration. 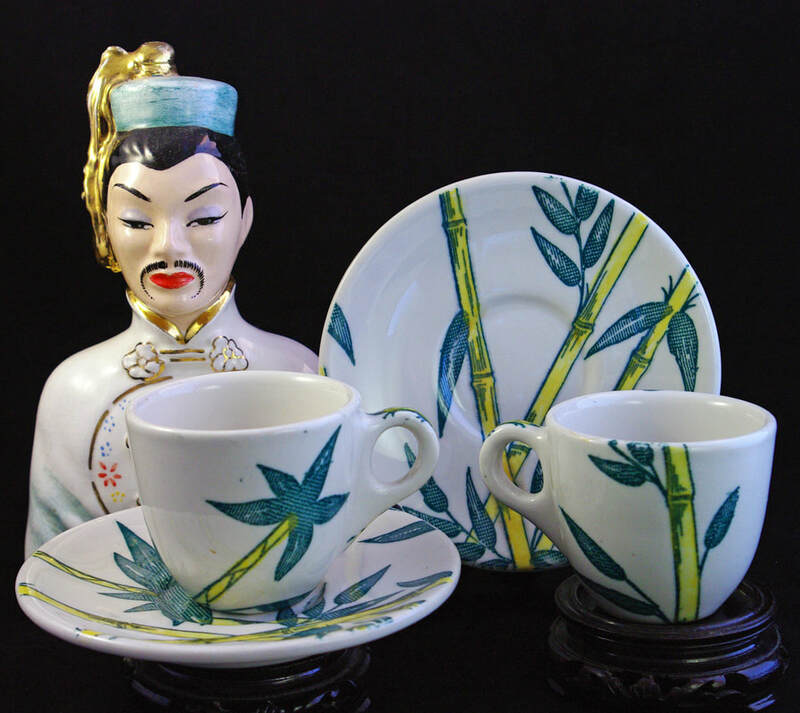 Tepco was a leader in the durable china tableware market for years, making over 50 different patterns, Western Traveler is but one of their western themed motifs. On a less than environmentally friendly note, Tepco used to dump their rejects into the San Francisco Bay. Today at Point Isabel, CA there is what is known as "Tepco Beach". Tepco Beach is made almost entirely of broken shards of Tepco china, tooling around you'll find bits and pieces of every pattern Tepco produced! 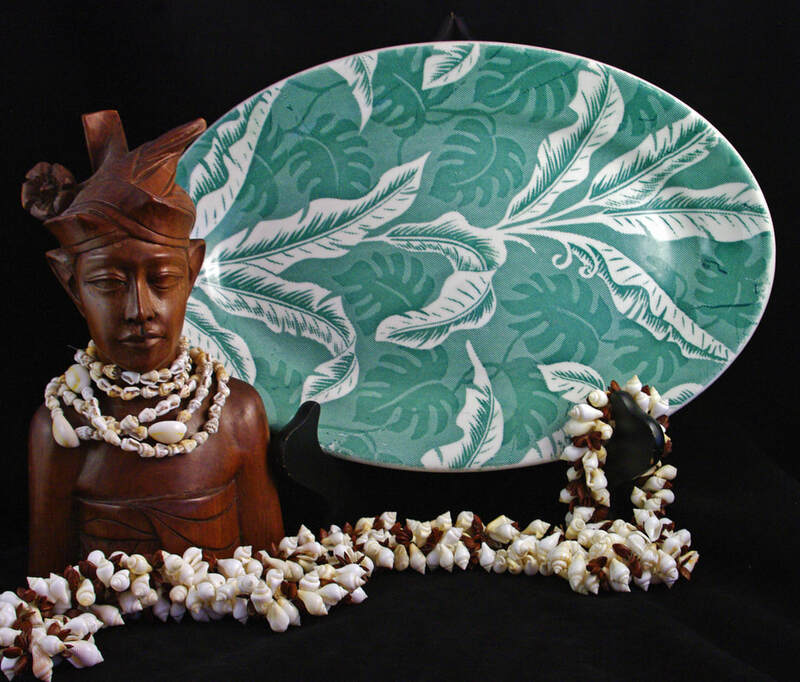 Their existence after tumbling in the waves for the last 45+ years speaks to the true durability of their dishware. ​Once a major West Coast producer of restaurant ware and El Cerrito's largest employer, Technical Porcelain and China Ware Company lives on in its legacy of sturdy dishes—and a beach full of shards.​Given a near-obsession with industrial archaeology, there’s almost no end to my interest in TEPCO, or Technical Porcelain and China Ware Company, a major West Coast producer of decorative, durable hotel and restaurant ware that called El Cerrito home from about 1930 until its closure in 1968. TEPCO supplied not only the hospitality industry, but had contracts with the U.S. government to produce ware for the Navy, Army and Veterans Administration, and was, for years, El Cerrito’s largest employer. Potter John Pagliero, who immigrated to the United States from Italy in 1905, founded TEPCO in 1918 while working at a Richmond porcelain plant. Around that time he left his job to grow TEPCO, eventually building a factory on Kearney Street and Manila Avenue in El Cerrito—where the DMV stands today. 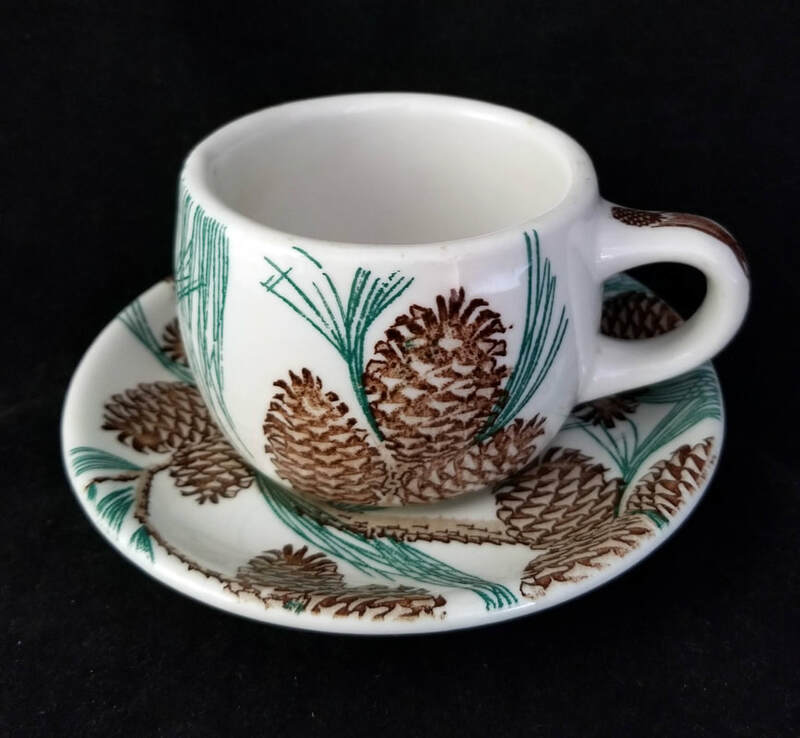 Early TEPCO dishware was thick with wide rims and minimal decoration, like bands, but over time the company improved its production methods and manufactured thinner ware with narrow, or even no, rims—allowing for extensive design patterns, accomplished by airbrushing, transfers or decals. TEPCO produced an exhaustive line. Footed Salads, Coupe Soups, Pot Pies, Chop Suey Comports, Celery Trays and French Welsh Rarebits represent only a small portion of its catalog, which included 13 coffee cup styles! Everything was available in Celeste Blue, Pink, White and Sunglow, with or without a design or custom logo—and there was an art shop to help with that. At its zenith, TEPCO offered about 50 patterns running the gamut from simple, like Pin Line, to slightly off the wall, like Palm, a loud, all-over affair with large palm leaves meant to appear raised in places—like plush carpeting. The American West was well-represented, with Broken Wagon Wheel, Ox-Head, Western Traveler and Branding Iron patterns, the latter reflecting a bit of whimsy in that the small branding irons encircling edges spelled out T-E-P-C-O. 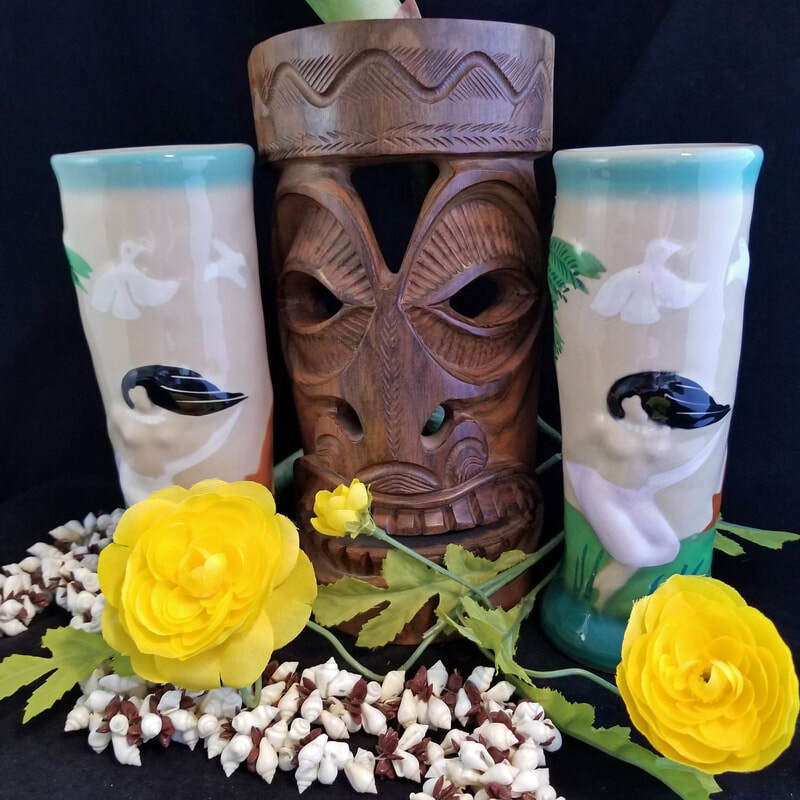 Tropical designs, like Hawaiian, Bamboo and Palm, were almost certainly very popular during the post-World War II tiki period, which lasted roughly 20 years starting in 1945—though it began somewhat earlier in California—reaching a fever pitch in the late '50s to mid-'60s. I rode the tail end of that wave at Polynesian restaurants with my parents, but don’t recall anything as outlandish as TEPCO’s Bamboo design, sporting yellow, green-leaved stalks growing up the dishes. Scotch Plaid was available if you needed tartan, and Confucius, a flowing, airbrushed Chinese landscape design of green, black and red, offered a striking option. 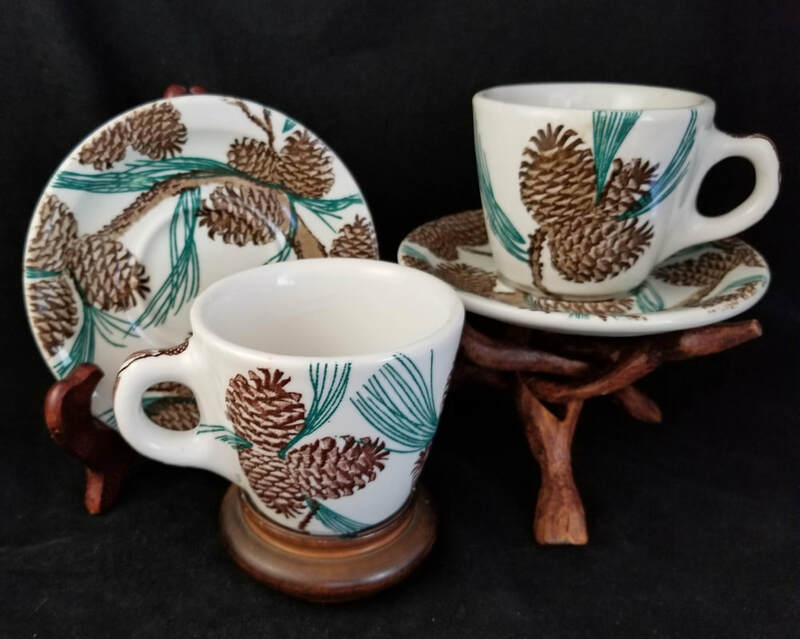 I adore Needles & Pine—an all-over design of pine branches loaded with thick cones and long needles—and don’t you love that name? Other cool names included Rick Rack #1 and Stipple Overall. Aesthetics didn’t trump durability. TEPCO’s chinaware was advertised as “100 percent Vitrified.” After being formed, “greenware” was heat-dried, then fired twice; first in a 2400°F bisque kiln, and then, after being decorated and glazed, in a 2100°F glost kiln. Unfortunately, there’s no abandoned work site to poke around, but there is “TEPCO Beach” at Point Isabel, where the company dumped its rejected runs into the San Francisco Bay. This section of shoreline is—and I don’t know how else to put this—a beach full of broken dishes. They cover the surface and are buried beneath, and a rhythmic clinking keeps time as small waves pass over fragments at the water’s edge. My son and I took a bucket and work gloves over there recently. The first thing we nabbed was a Branding Iron plate rim section, which was so shiny it looked like it just came off the line. While time and tide took their toll on some of the chunky, bisque-like, white fragments, much of what we saw was crisp, though sharp edges were universally rendered smooth. Clearly, this stuff was built to last. TEPCO closed in 1968, by which time John Pagliero’s sons, Arthur and Tony, had been running the business for some time. John passed away the same year and, by 1970, the factory was gone, too. While the "Tepco China USA" backstamp lives on only in vintage dishware collections and a lonely stretch of beach on San Francisco Bay, one of Pagliero’s true legacies is his commitment to artisanship. “Good china makers are not to be found in the labor-market—they must be made,” according to a TEPCO flyer, and Pagliero’s investment in long-term employees, with older, experienced craftspeople teaching younger ones, is a cup modern corporate America could drink more from. The Archive of Lost History Master’s Degree thesis of Anthony R. Vizzari at the University of California, Berkeley, Department of Architecture, 2005. The El Cerrito Historical Society’s collection, website and board members, particularly Joann Steck-Bayat and Tom Panas. Heaven, Joseph. “TEPCOWARE.” American Craft August/September 1982: 16 - 19. Available on The El Cerrito Wire: p.1 p.2 p.3 p.4. Provides a wealth of information on the Pagliero family and TEPCO. “Richmond Museum Features TEPCO.” The Forge: The Official Publication of the El Cerrito Historical Society23.2 (2007). Available on The El Cerrito Wire here. Technical Porcelain and Chinaware Company’s advertising flyers. TEPCO ware from the collection of Sandi and Lynn Genser-Maack on display in the Dorothy and Sundar Shadi Historical Room, El Cerrito Historical Society.